In contention are two pictures, one of a cop who ‘accidentally’ made it to the suspects list and one whose photo was being circulated with malicious intentions. In a goof-up by the Kerala police, a plainclothed policeman's photograph was included in the album of 210 suspects who had allegedly engaged in violence in Sabarimala last week. Realising their mistake, the Kerala police removed the photograph and put out a post on their official Facebook page acknowledging this error. The goof up was first pointed out by BJP leader MT Ramesh. 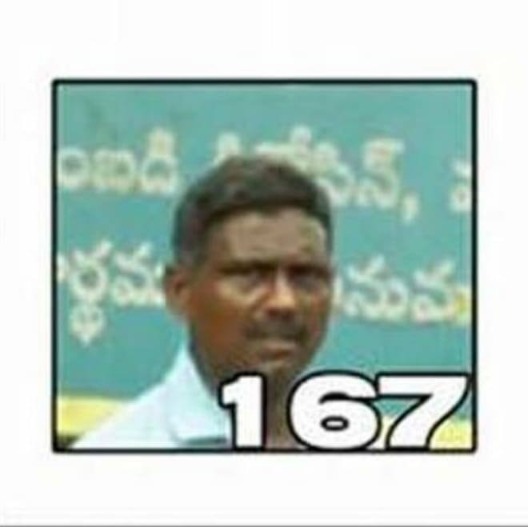 “The person listed as no 167 in the lookout notice is a member of the police force. The photograph of Ibrahim, a police driver at the Pathanamthitta AR Camp is being circulated claiming that he is a member of the RSS. Police personnel and CPI(M) cadres started trouble in Sabarimala. This man got caught because cameras don’t lie,” Ramesh said in a post. “Truth is that this is not a look-out notice; these are pictures of people suspected to have engaged in violence at Sabarimala, collected from in and around the temple. These details have been sent to all district police chiefs to investigate and nab the real culprits. Since we confirmed that he (Ibrahim) was caught in the violence while returning from duty, as the mob attacked the vehicle he was driving, we decided to remove him from the list of suspects,” the post read. Kerala police in the same FB post condemned social media users who used these pictures to spread fake propaganda. 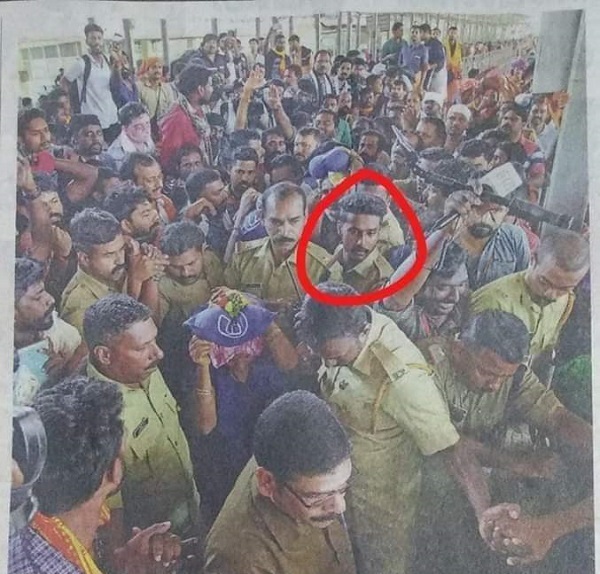 The policeman in the picture has been identified as Aashiq, a constable in the KAP 1 battalion stationed at Sabarimala. “An on-duty police officer’s picture has been circulated, saying that is a youth organisation worker…to spread misconceptions in the minds of the people. Criticism of the hairstyle of this officer, too, holds no ground,” the post said referring to Aashiq’s hairstyle. The post also warned social media users from spreading fake propaganda against police officers. “To spread fake propaganda about duty-bound police officers is utterly inappropriate. This explanation is to remove the concerns of the people who have been exposed to these fake messages on social media,” it read. The police on Wednesday created a list of suspects in the Sabarimala violence and sent them to all district police chiefs for verification. Once the identification process was complete and the suspects were confirmed, arrests will be made, Pathanamthitta district superintendent told TNM.